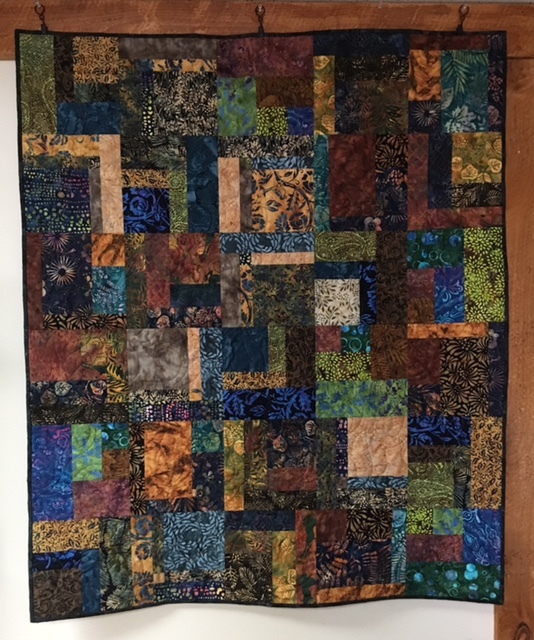 Quilting Adventures: Jungle Fever .... Jungle Fever ..! I love how your stitchery came out, that is a fun pattern. I also like the batiks, I need to come up with some ideas for small mats to change up my decor. Many of us have the same issues with Blogger. We all understand. I LOVE the little mini You've been having fun with your stitching. You're too funny! We all have a little OCD don't we? I love your collection of little embroidered quilts. The My Little Garden stitcheries are so cute!